Phil has invested 40 years in the farm lands of the mid-west where he developed animal husbandry and agriculture experience ranging from small organic gardening to large scale cattle and row crop production Phil was the Director of Development for the Peace through Water Foundation and has served as coordinator for several natural disaster relief efforts. Phil was the former Executive Director of Morning Star Fishermen an aquaponic research and training center. His efforts have taken him around the world working with local communities to develop sustainable food production. He has worked in collaboration with the University of South Florida, The University of Florida, The University of Arizona, The Hebrew University in Israel, The Mariculture Institute, Mote Marine Laboratories and many others. Dr. Bill Falls received his Ph.D. in Biology from the University of Southern Mississippi, his M.S. from Murray State University and his B.S in Zoology from the University of Louisville. Dr. Falls has a rich professional background beginning over two decades ago as the Research Administrator for the Florida Dept of Environmental Protection, Florida Marine Research Institute. He is currently the Sr. Ecologist, N.S. Nettles & Associates, Inc and full time Professor at the American Intercontinental University. Dr. Falls has been awarded many honors Nominee for Governor’s Innovation Award – 2003, NISOD Recipient of Excellence in Teaching & Leadership – 2003, Who’s Who Among America’s Teachers - 2004 & 05, Certified Fisheries Professional Emeritus 2006, Teaching Excellence Award-General Education – 2010, and many others. Dr. Bill has been a friend since 2010 and a continued asset to our staff. Hans has grown up around aquaponics. He is the namesake and grandson of Morning Star Fishermen's founder. Hans has been designing, building and maintaining aquaponic systems full time since 2011. He has presented aquaponics at many local schools, juvenile detention centers, ​community events and many others. Hans has been involved in building aquaponics systems of all sizes from the smallest of classroom models to elaborate commercial production systems. He designed, built and then managed a commercial tilapia hatchery and nursery. Hans continues to be involved in aquaponic training as a very effective and enjoyed Aquasol instructor. Raised on a rural farm in the Mid-West, Elizabeth has developed a passion for sustainable living. 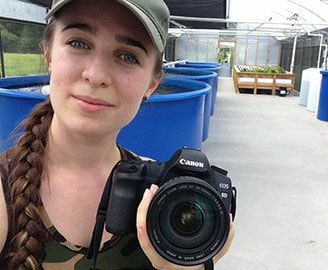 For the past five years she has been involved in the building and documentation of various aquaponic systems, including managing an aquaponic garden at The Holy Name Monastery with Sister Miriam. Elizabeth believes the solution to many of today's problems is going back to the basics of growing our own food. She plans to own her own farm equipped with training facilities for holistic living and sustainable food production. ​Mark is a huge asset to the team at Aquasol. He has invested the last 30 years learning to create agrarian based, self-sustainable, off grid, zero waste communities. His skills and traditions range from early primitive cultures to the most modern green technologies. His desire is to restore, preserve and promote the interests of simple living and instill in others the mindful stewardship of the Earth, Her limited natural resources and fragile eco-systems. Mark was the Farm Maintenance Manager for Sweetwater Organic Community Farm for six years. He maintained and built pole barns, green houses, wells, irrigation, filtration and septic systems. Assisted in all aspects of farm operations including seeds, greenhouses, hardening sheds, tilling, composting, wind rows, planting, organic insect control, harvesting and distribution of produce. He became a certified coal fire blacksmith and did demonstrations at the heritage Village living history museum also advising them on heirloom vegetables and early pioneer living. 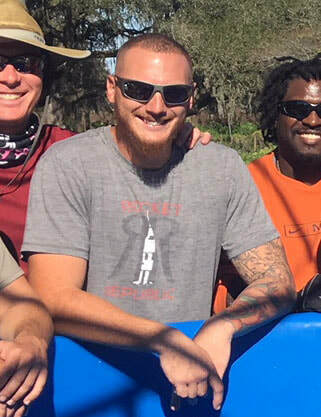 He is also, a member of the DART (Disaster Animal Rescue Team), He assisted in the operations, rescue and recovery of injured animals during many natural and manmade disasters including hurricane Andrew, the Mississippi and Louisiana floods and the BP oil spill. Mark also served as farm manager at the aqua-garden at The Holy Name Monastery. He has traveled the world in his quest for knowledge and we are glad his path has led him here. Born in South Korea, Joo came to the U.S in his early teens. He received a B.A in Philosophy from the University of South Florida. During his study he first learned the importance of sustainability in todays world. Since then he has been fortunate to be involved in various kinds of sustainability projects such as solar energy, eco cottage construction, and building/managing/consulting community gardens. Embodying the broad sense of the term sustainability, Joo has been working close with non-profit organizations in order to not only achieve sustainable food system, but also a sustainable community. Joo is especially interested in sustainable farming. Joo joined the Aquasol team in 2014. Joo has built small hobby systems to commercial production scale Aquaponic systems with the team. 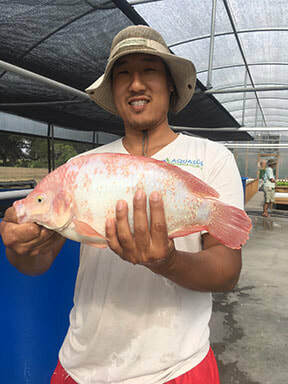 On his own, following the Aquasol's vision, Joo has built, researched, taught, and managed Aquaponic systems in Tampa, FL and elsewhere while continuing to successfully demonstrate their sustainability factors.